The International Center for Media and Public Agenda released a study this week examining RSS use by 19 top news sites. The results? Most just don’t get it. Or to be more precise, they don’t give it. 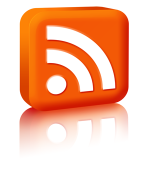 While all 19 news sites offered an RSS feed, those feeds varied widely in utility. Some sites put all their top stories in their RSS feeds while others limit the number of stories, meaning if there were 20 articles in the international section that day, you might only get the top 10. Many news sources don’t include wire copy in their feeds, even if it’s the most recent or relevant article on a topic. Some sites have just a few feeds, making it hard to choose the topics you want to subscribe to, while others have over 100, making it nearly impossible. Many feeds don’t include bylines, datelines, or the time the stories are posted. The study ranked The Los Angeles Times, ABC News, Christian Science Monitor, BBC World Service and Fox news as having some of the best RSS feeds, while Al Jazeera, The Guardian, and The New York Times had some of the worst. The researchers’ ultimate conclusion? If you’re looking for a quick way to get your news without having to navigate through a newspaper web site, skip the RSS feed and just use Google News. I like it when they don’t have RSS because then I can use ponyfish to create my own RSS and know that I’m one of the few people tracking the changes they are making to their website 😉 It’s a great tool for when I come across great sites, but they don’t publish a feed. I should look into that. When I was a long distance commuter I’d been using Mobipocket to scrape web pages and create custom channels I could read on the train using my PDA. But Mobipocket “updated” its software to use RSS instead and removed that option. So now I’m stuck with whatever RSS feeds the newspapers offer. Of course, I also don’t commute anymore, so I don’t really need the ability to read the paper offline on my PDA.